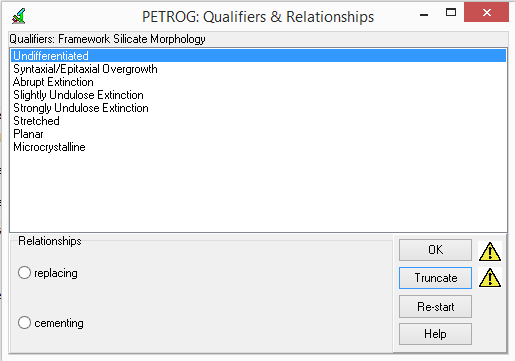 For each data item entered in PETROG during compositional analysis, there are appropriate 'habit' qualifiers (e.g. clay minerals). Items are linked in a paragenetic sequence by appropriate relationships. 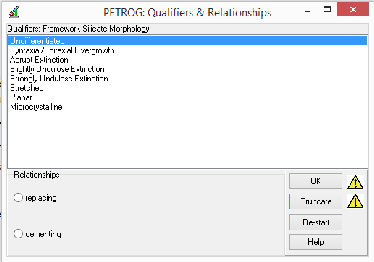 Permissible qualifiers and relationships are determined by pre-defined rules.